Last month some of the MSG150 crew passed the ruins of China Gate and noticed a new glow about it. We also noticed a hand-drawn sign on the door hocking food by the scoop. "Hot Fresh Food", no less. After months of slacking this was the smack that knocked us back into action. Someone's got to find out what delights/horrors lie behind that sign and we are just the foolsintrepid souls to do it. So today, with a full ground force of nine brave and hungry lunchers, MSG150 rides again. The old China Gate has been split in two. The owners of a near-by market now run the place. They have moved their market into one half and run Gom Hong out of the other half. In addition to the scoops of food promised at the door, Gom Hong also offers Dim Sum. 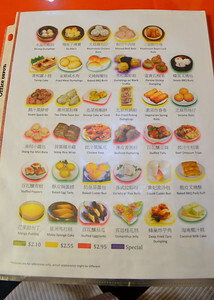 Instead of Dim Sum carts, Gom Hong uses the laminated picture menu. 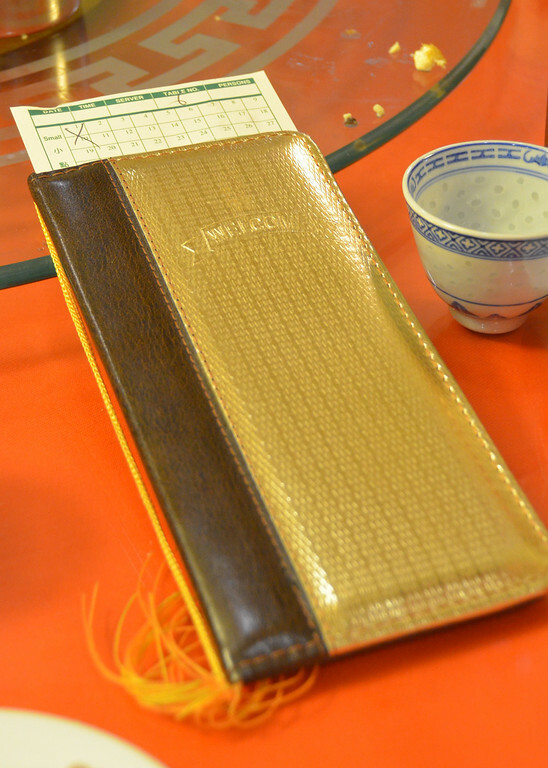 This is a nice option for inexperienced Dim Sum eaters. 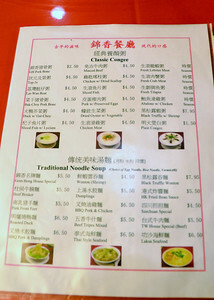 They also offer congee and noodles soups as well as a full dinner menu that we ignored per guiding principles. The "hot fresh food" is on display in a warming tray in the entryway. 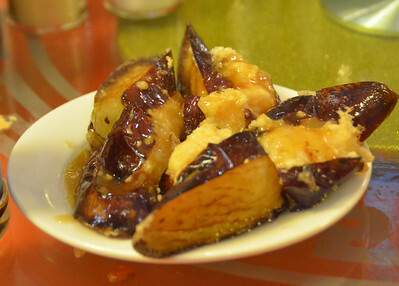 One was a sticky shrimp and one was BBQ pork and bitter melon. We ordered a scoop of each and a selection of Dim Sum. The $2 scoops were ample and served quickly. The scoops were not hot, as advertised, but rather warm-ish. As to the other two claims, I cannot vouch for the freshness of the scoops, although I would guess not, but it was in fact food. Both were interesting and neither was something you would find on a typical American Chinese menu. The BBQ pork was decent and the bitter melon was soft and...bitter. It was a nice combination but did suffer from sitting in a warming tray for some unknown period of time. The shrimp were shell-on, non-battered, sweet and sour shrimp, the non-Americanized real-deal. 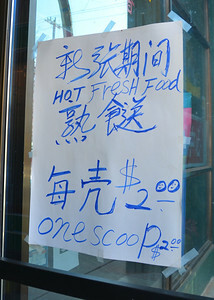 I was a bit sketched out about how they could server a scoop of more than a dozen shrimp for $2. 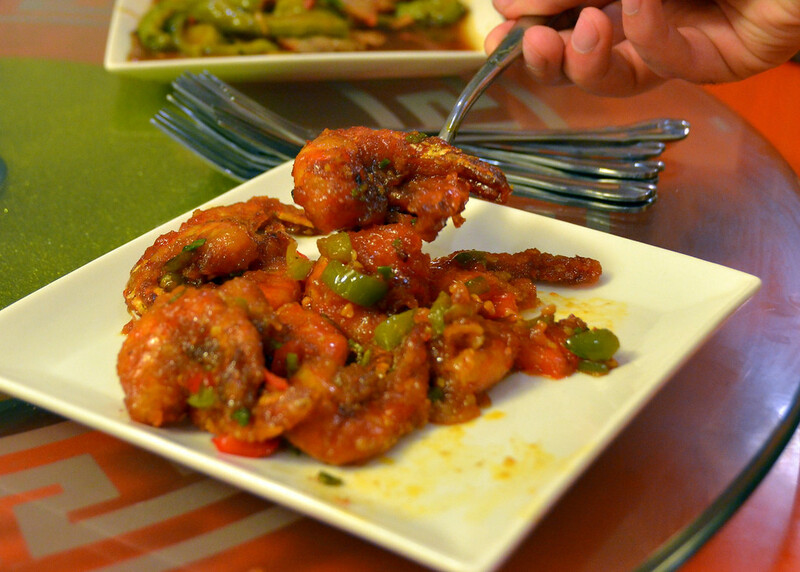 I liked the shrimp although they were a bit tough from too much cooking. 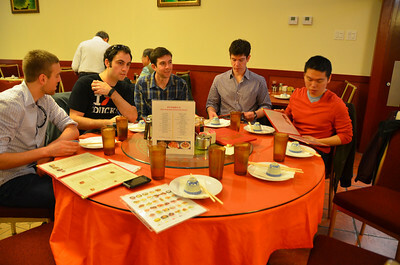 Since there were only a few other diners in the restaurant, the Dim Sum was all made to order. It all came out piping hot, which is nice. 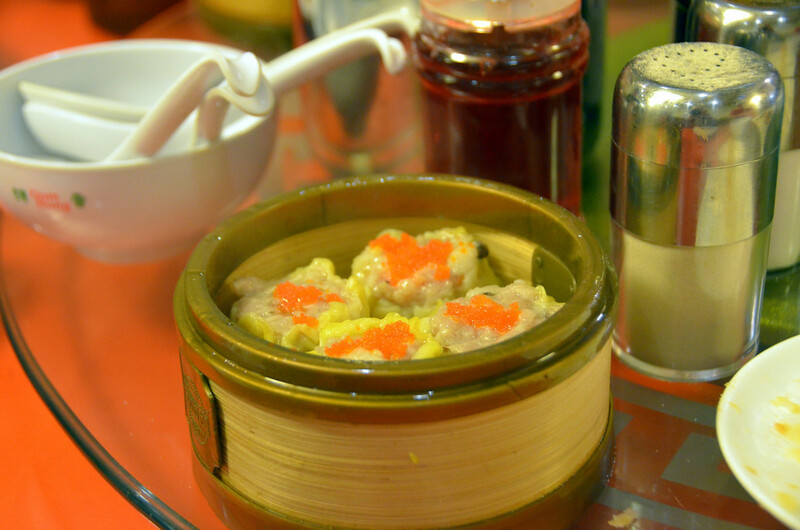 We have been to many low volume Dim Sum joints where we were served cold food. Although the Dim Sum was hot, the quality was generally average to below average. 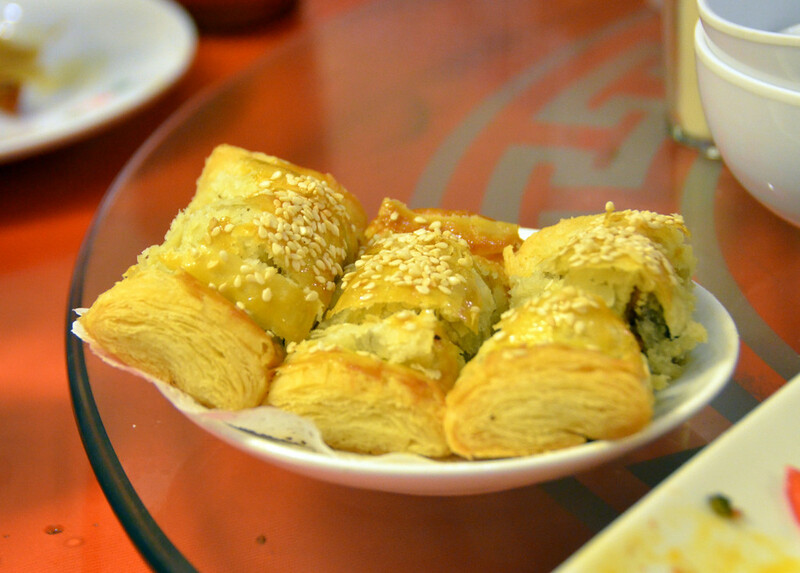 My favorite was the Shang Hai Mini Buns (as in, "don't Shanghai my mini buns"), but mainly for the name. 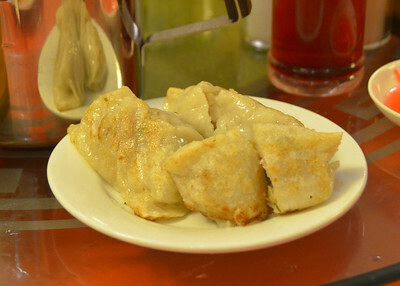 These are delicate steamed dumplings with a filling of ginger and pork. They were a bit too delicate, however, and fell apart when serving. 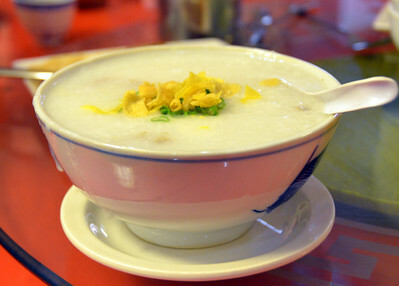 We also shared a bowl of pork congee which would have worked well as the base for a paper mache dragon's head but did not work as well for lunch. 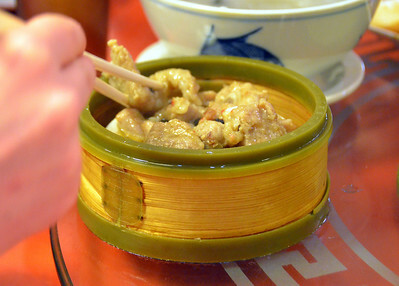 In summary, if you are on a budget and crave Dim Sum or giant scoops of food go somewhere else and eat a little less. Short and sweet: this place oozes mediocrity. The scoop of food was below average. 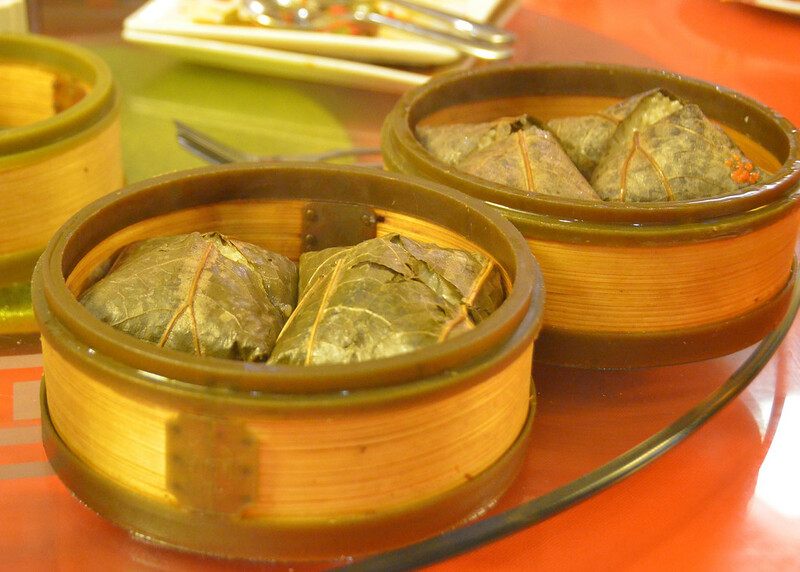 The dim sum? Some above average, some below average. Frankly wouldn't bother coming back. 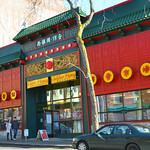 Another Dim Sum restaurant in the ID. I was both apprehensive and excited about this place. Would it ever be able to hold a candle to Jade Garden? There were very few people in the restaurant, but luckily there weren't carts full of cold food. All of our food was hot and made to order. 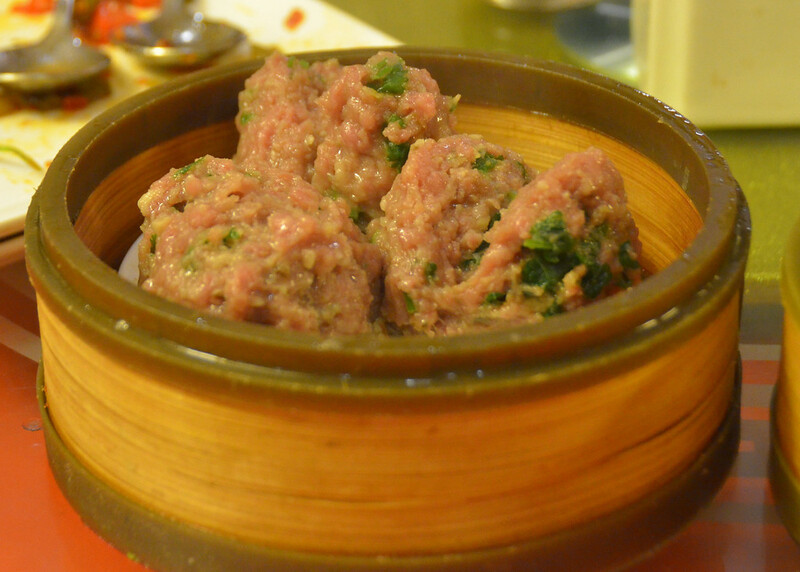 Shu mai: good, but standard. Stuffed eggplant: good, but standard. You see where I'm going here, right? Everything is right on point at "standard." So, were there any exception? 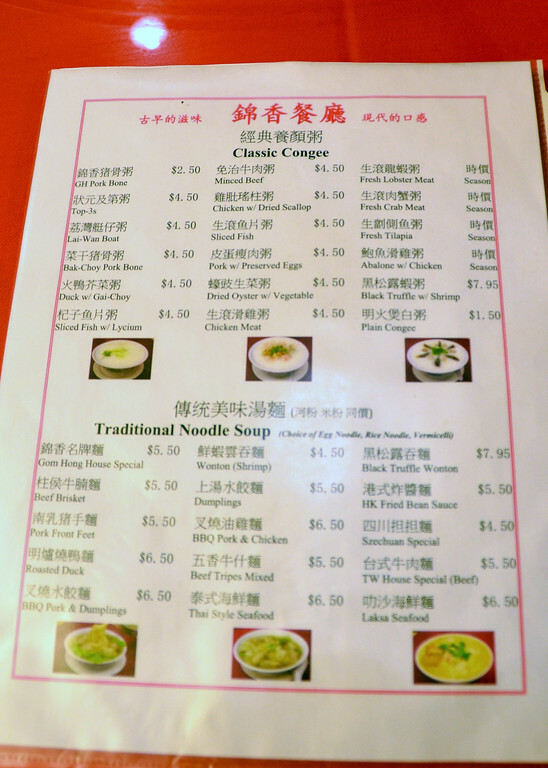 Yes, there were a couple of exceptions: the congee, the $2 scoop of shrimp, and the minced beef balls. The congee was less than standard, I was hoping for more flavor out of this, but mostly it just tasted more bland than a bowl of rice porridge with BBQ pork should be. The shrimp was great. You might hear some detractors complaining that there were more than $2 worth of shrimp on the plate... but I think that's exactly the point of a loss leader. We spent (with tax and tip) well into the $60s for this meal, and I was definitely attracted to try this place because I wanted a $2 hot-fresh scoop. And lastly, it may not have been a loss leader, but my favorite thing was still only $2.55: the minced beef balls. The beef balls had a great spice and garlic flavor to them, and I would go back for more. 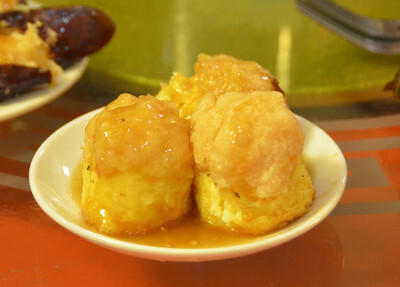 Overall, there are better dim sum places in the ID, but this one isn't as bad as other ones I've had. 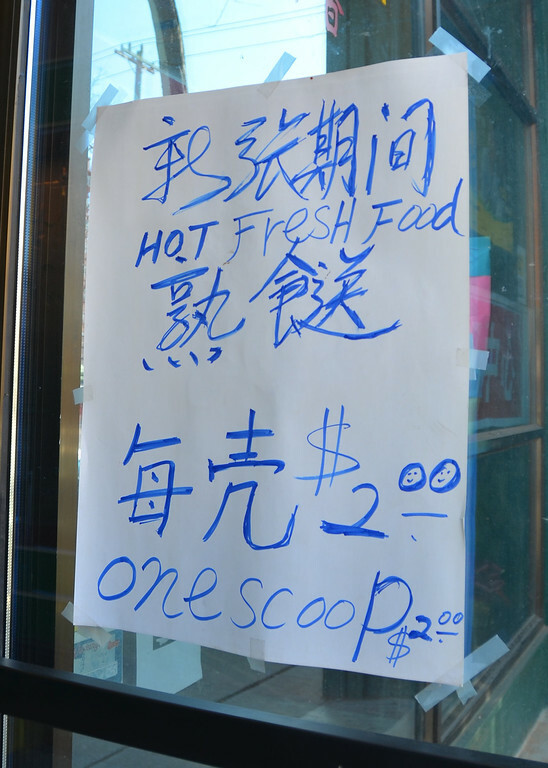 It's been a while since I had the fortune of good timing to attend an MSG150 lunch, so I was pretty excited at the prospects of trying a place that advertises "one scoop food." Imagine the possibilities! Could it be a huge scoop? Is it an ice cream parlor? Perhaps it's a futuristic dining experience where the food is a Matrix-like porridge. I was happily surprised as we walked in to find the restaurant very clean and tidy. We saw what looked like it might be the source of the Scoop Food and ... well ... not a lot of options (two) but they appeared tasty enough through the window. 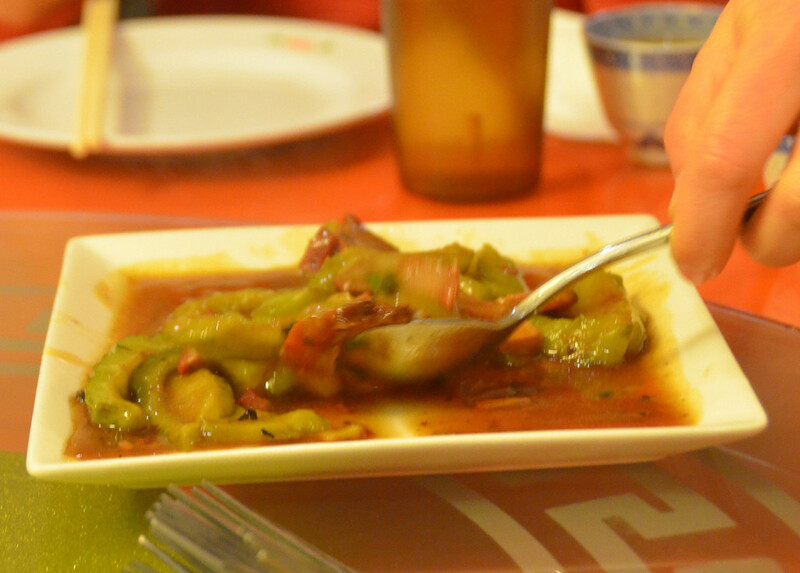 Some kind of spicy shrimp thing and a meaty-veggie thing. Clearly they needed to be sampled. Lunch began with a shared Scoop of each Food for the table. Both were decently flavorful, and slightly scary. 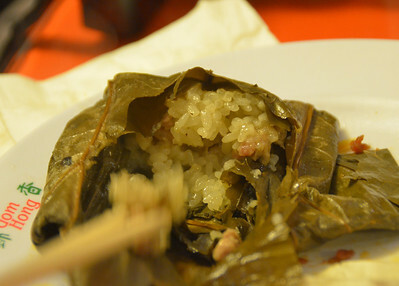 The shrimp was in-the-shell, which I didn't expect and haven't tried before. That was fine, if slightly crunchy. In fact, both Scoop Foods were fine. If I wanted such a thing for lunch, however, I'd go to the Uwajimaya Food Court. 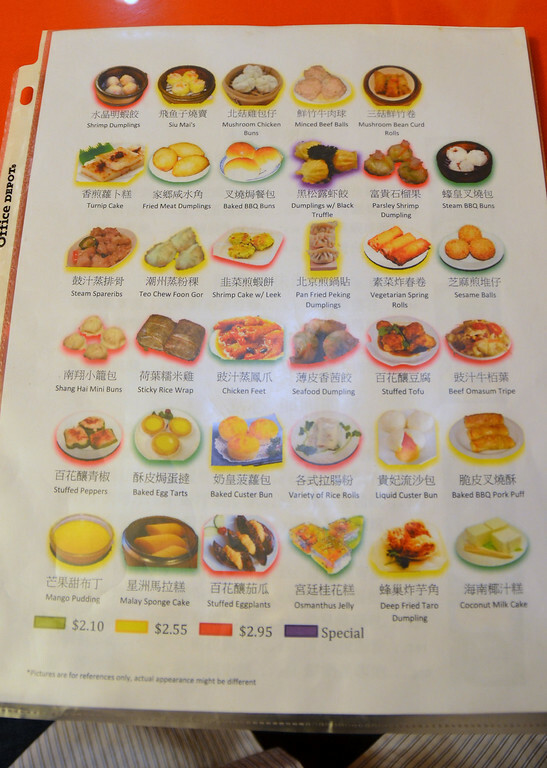 The rest of lunch was a pretty good Dim Sum menu. In fact, the menu itself was a star. Pictures and prices so you could see the whole menu without having to wait for the cart to roll by? Yes, please. 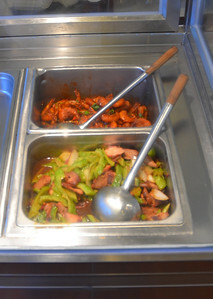 All of the food prepared on-demand and brough to the table steaming hot? Oh very yes. All in all, Gom Hong treated us well and provided a good quality food with a much-appreciated 10% Grand Opening discount. If you're in the mood for dim sum and don't want to go to one of the more crowded local options, Gom Hong will probably have you seated the moment you walk in the door with room to spare. That ought to last a little while; at least until more people read the MSG150 reviews and start filling the doors. If you are looking to get hot fresh food by the scoop, Gom-Hong is your place. 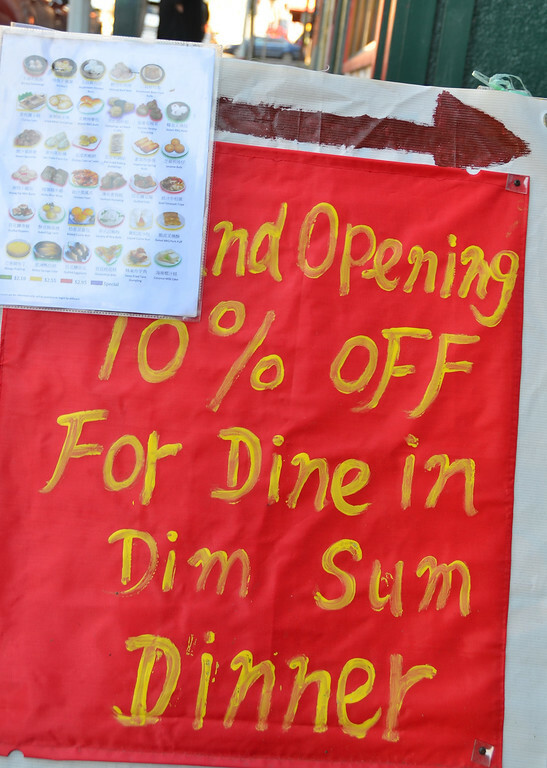 The sign drew us in so laugh all you want but the proprietors at Gom Hong are marketing geniuses. First up, the famous scoops: The shrimp scoop is actually pretty tasty and comes with a ton of shrimp. The bitter melon/ pork scoop wasn't really my thing but hey, its two bucks. 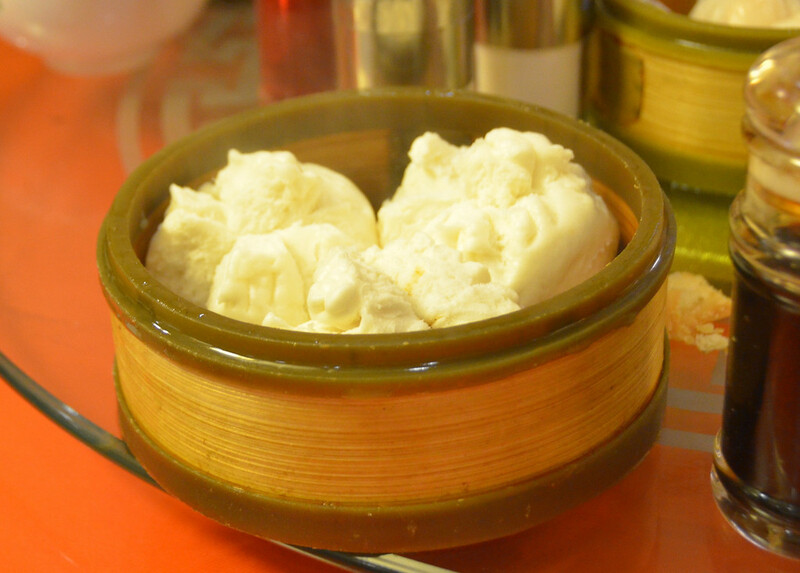 I would recommend passing up the scoops and sticking to the dim sum, which isn't bad at all. 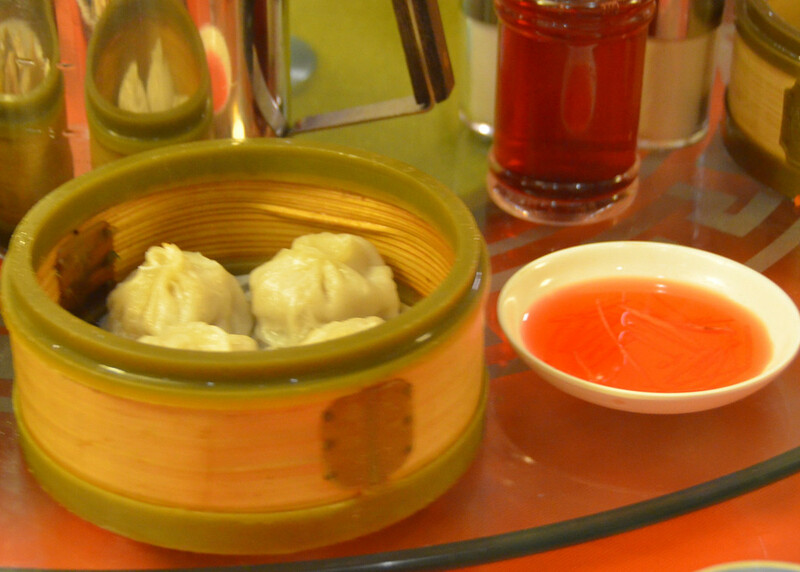 The shrimp dumplings, shu-mai, and pork buns were all tasty and the eggplant and meatballs were a nice variety. 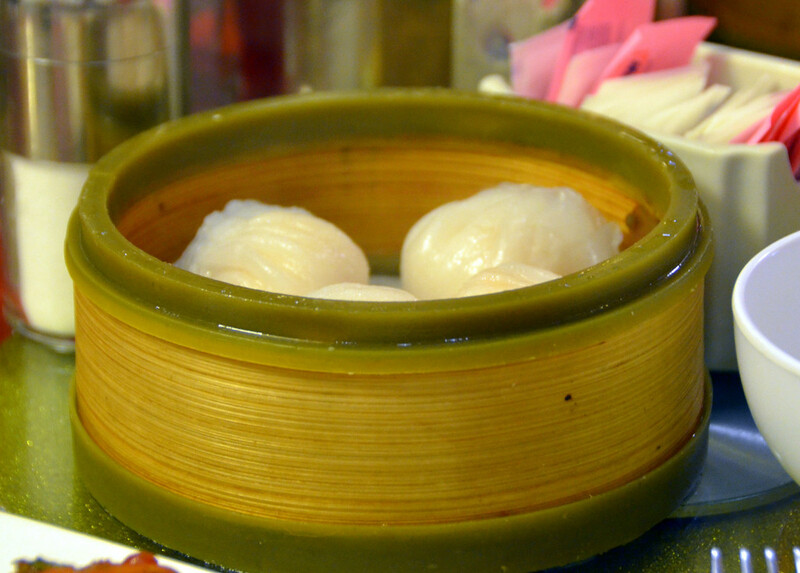 Everything came out fresh and hot and it was only 7 bucks (yes 7 bucks) for as much dim sum as I could eat. There are other dim sum places in the ID that I prefer but if I wanted some cheap dim sum quick I would go to the 2 scoops emporium. I came for a cheap $2 scoop of food but stayed for the dim sum lunch (plus two $2 scoops of food). The dim sum came out piping hot and was pretty tasty. The $2 scoop servings were pretty generous too. Biggest surprise: how cheap it all was. We ordered a ton of food and the bill came out to $7 per person, including the tip. I’d give it 3. 2 if they can’t figure out how to fix the piercing high pitched screech. 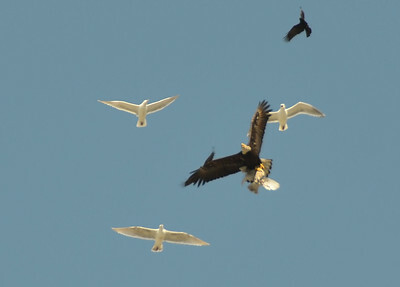 I love the one-scoop seagull shot. I have a pretty low opinion of seagulls, though. I find it more likely that the other ones in the picture are just hoping to get some leftovers rather than trying to avenge their fallen. Strange, in my recent visit to the I.D. 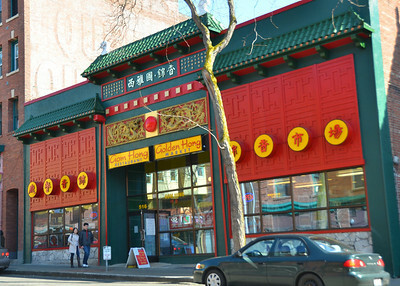 I saw that Gom Hong Restaurant is being turned into Some Kind of Thai restaurant. The grocery part is still open though. Got any info why this happened?